I have spent some of today catching up with the news over the past week or so and actually came across this story first of all on the excellent Omnibuse2.0 site. Plymouth City Council have announced that it is looking at releasing some or all of its shares in Plymouth Citybus. Cllr Pengelly said: "I will say that Plymouth CityBus will not be sold unless a sensible offer is put forward. A report to Cabinet suggests the city council would receive millions of pounds if a sale were to take place, which could then be invested in front-line services through its capital programme. Naturally First have already expressed their interest. He has been trying to buy Citybus for some time! 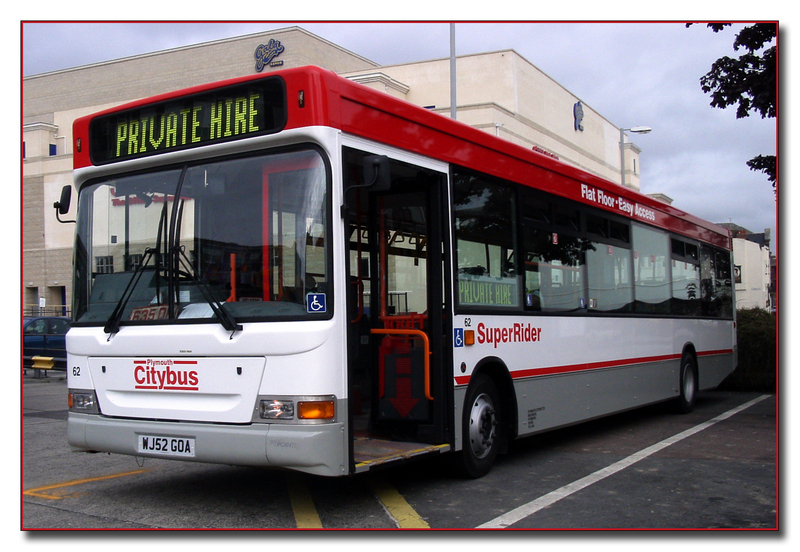 The sale or otherwise of Citybus has come up several times over the years, but this time it does seem more likely, although John Preece may well be right in wondering how many buyers are sitting in the wings with cash to spend. That said, as Omnibuses point out There are few jewels left and there’s likely to be a frenzy for this one. This is clearly a story which is going to run and run over the coming weeks/ months and will be followed closely here. The one thing that can be sure is that it will be an unsettling period for all the staff.